Loss of facial volume is one of the most common yet characteristic signs of the ageing process. As we age, our skin naturally becomes thinner and loses its plumpness, resulting in unevenness, lines, wrinkles and sagging. Other causes of loss of facial volume include excessive sun exposure, inconsistent dietary habits, hormonal imbalance, drug and alcohol use, genetics and so on. Irrespective of the causes and resulting effects however, there are countless options to explore when it comes to the effective treatment of loss of facial volume. 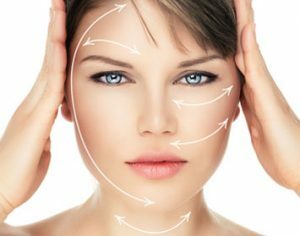 Here at HSA Dermal Clinic, we specialise exclusively in non-surgical cosmetic procedures, designed to quickly and effectively address a range of conditions like loss of facial volume. We combine cutting-edge technology with the most sophisticated techniques, targeting the root cause of facial volume loss to deliver unbeatable results. Discover an affordable and accessible alternative to traditional cosmetic surgery, with the experts at HSA Dermal Clinic. Discover the latest advances in loss of facial volume treatment in London, performed by the experts at HSA Dermal Clinic. We offer a variety of comprehensively non-invasive loss of facial volume treatment options to suit all patients and budgets. Whatever your requirements and expectations, we’d love to welcome you to our state-of-the-art clinic at the heart of London for an obligation-free consultation with one of our experts. Irrespective of the nature and severity of the problem, there are various loss of facial volume treatment options to explore. One of the most common of which being the use of dermal fillers, which can quickly and effectively re-plump the skin and create a smoother, more youthful-looking appearance. With absolutely no surgery required, our advanced loss of facial volume treatments in London replicate the effects of traditional cosmetic surgery. Whether ready to go ahead or simply considering the available options, we’re standing by to take your call. Contact a member of the HSA Dermal Clinic team today for more information.